Going green is more than a trend — it’s a reality. 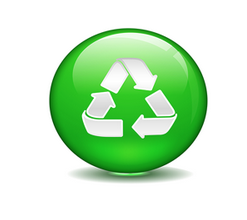 Many businesses large and small are adopting green habits to reduce waste and conserve energy. Have you implemented green policies at your office? If you haven’t, it’s easy to get started. Many ideas are free or very inexpensive. To help you along, the ADA has compiled 80 green tips below. Most of them are specific to your dental practice but there are some general green tips, as well. To make for easier reading, they’ve been grouped in categories such as “Be Proactive” and “Educate Your Staff and Patients.” Take a moment and choose one idea you can implement this week. Even one small change can have a big impact on the environment over time. Consider solar chargers for charging cellular phones, PDAs, laptops, etc. I am wondering why this overt political appeal to be “green” is being advocated by the ADA? Why not add a composting toilet why we’re at it? Too many of these suggestions are poorly thought out such as: Consider stocking all-natural oral care products, from toothpaste to mouthwash. Are dentists now going to avoid fluoridated products from proven companies in favor of “all-natural”? Also, I thought paper cups were biodegradable. Replace lights with fluorescent? Why not LED? Also, not every recycling or energy saving solution is a net savings to the planet or to energy savings for every practice. Perhaps this list should include links to factual studies or calculations that would help dentists know if something is worth exploring. Yup. I second all that. Out of the 80 suggestions, many are personal, and we all can do better and improve our actions for not only the office, but our own lifestyles. Other suggestions are very costly, but many suggestions can easily be put into action. We should all at least be aware of improvements we can make. I do a lot of these in our office already, and always look for more I can do. A list of 80 can be overwhelming, but when I looked through I was glad to see I am doing at least a few of them already! Thank you!